Grandma Patience was real, and she really had a daughter named Desire. She also showed her droll wit (and spelling flexibility) in naming her other children: Wata Jencks Veltman, Sally Jencks Hogeboom, Hannah Jencks French, James Jencks Jr, Elmore Jenks, and Sylvester Jencks. 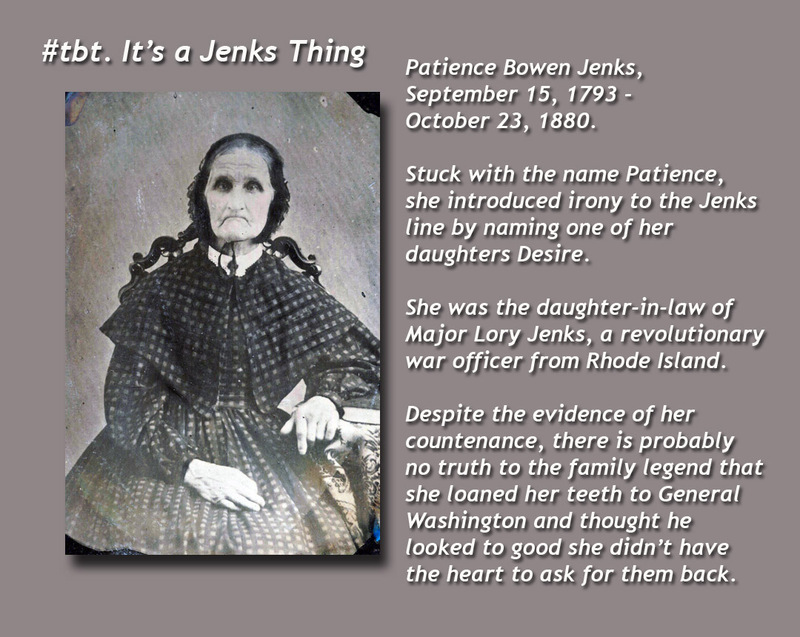 Jencks and Jenks are used interchangeably throughout family history. No doubt the c was dropped to save the cost of ink. 1 Response to #TBT. It’s a Jenks Thing. The name of the game is The Game of the Name. High Jencks for sure.